Cloud communications company Twilio has announced a partnership with Japan’s second-largest telecommunications group, KDDI Web Communications (KWC). With this move, it creates an environment whereby app developers in the country can now easily build services and games using Twilio’s capabilities. The two companies have launched a new communications API called Twilio for KWC. 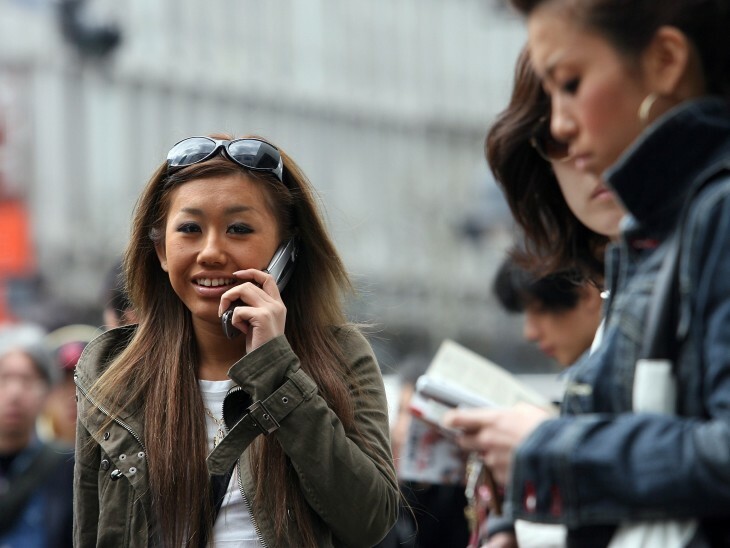 With Twilio for KWC, developers will have full access not only to Twilio’s API platform, but also the “underlying connectivity” with Japanese domestic carriers powered by KWC. In addition, tools to build out highly-scalable, Web-based call centers, phone-based lead tracking solutions, business process management workflows, and other communication solutions are available for anyone’s convenience. This is the next evolution of Twilio’s relationship with KDDI. Last October, the two organizations formed a strategic partnership in which KDDI distributed Twilio’s platform to developers on its network. The idea was to help spur innovation in the telecommunications industry within the country. And this is certainly not small potatoes for Twilio — KDDI has over 36 million subscribers, including thousands of businesses. Five months later and now the two companies have a distribution relationship. Twilio’s Brian Mullen, Senior Director of Business Development, tells us that this move is an important one for Japanese developers — because of this deal, it gives Twilio credibility in the marketplace. 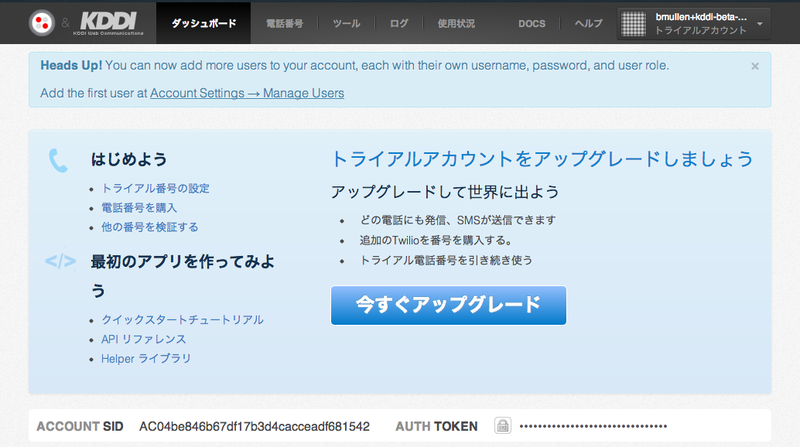 KDDI customers will have access to Twilio’s platform through a portal and Japanese documentation. Local app developers should also feel comfortable using Twilio because all billing will be handled by KDDI, not Twilio, meaning new vendor relationships do not need to be created, which is something preferred by Japanese businesses. Existing developers that were using KDDI’s in-house communications API, Boundio, will see the service be transitioned to Twilio for KWC. Boundio was sunset on April 16. In essence, the launch of Twilio for KWC helps Twilio to accomplish its “One API, Global Reach” mission it set out to accomplish. Naturally, KDDI isn’t the only partnership Twilio is exploring, but the company declined to comment on future plans. Twilio’s timing could not be any better, especially following key moves it has made to position itself well within the international scene and for the enterprise. At last year’s TwilioCon, company co-founder and CEO Jeff Lawson announced Twilio had expanded to more countries and would begin rolling out its Global Low Latency (GLL) program — a feature that would optimize service so that call quality would increase. Last month, Twilio began its move into the enterprise by introducing support for Session Initiation Protocol, or SIP. It quickly followed that up with the integration of Google’s Cloud Platform and introducing a permission-based multi-user project management system. While Twilio’s usage statistics in Japan haven’t been disclosed, Mullen says that it’s thrilled to enter the market and that the alliance with KDDI gives it validation it says it needs to be a powerful communications platform. But while the two companies have a partnership, will there be others in Japan? Mullen said not in the near future because the existing arrangement is a strategic partnership and a long-term one. Lawson says that his company is happy to be working with KWC and that he was looking forward to seeing what the country’s developers and enterprise companies would create using the service. Developers and companies interested in using Twilio for KWC will find that it has “aggressive pricing for the market“. Mullen says it’s offering a major tier-1, carrier grade service. Today’s announcement was made during Twilio’s Japan Summit in Tokyo, where Lawson met with KDDI’s president Akihiro Yamase.